Enrique Iglesias & Pitbull in Montreal or Quebec City? 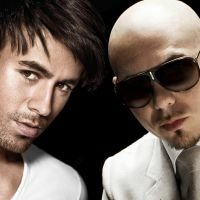 Inform me about the next events for Enrique Iglesias & Pitbull. Enroll yourself to our priority waiting list for Enrique Iglesias & Pitbull to be alerted when new tickets are available. Filling this form doesn't engage you to any purchase. Enrique Iglesias will be joining forces with Pitbull for a North American Tour this summer ! And guess what : the two stars have decided to stop by Montreal ! The joint tour will be stopping by the Bell Centre, on July 5th, 2017, just like they did back in 2014. If you like dancing to the great pop hits of those two artists, you won't wanna miss this special event in Montreal this summer!